Los Angeles-based choreographer Phil Wright proposed to his girlfriend in the midst of dancing with her. 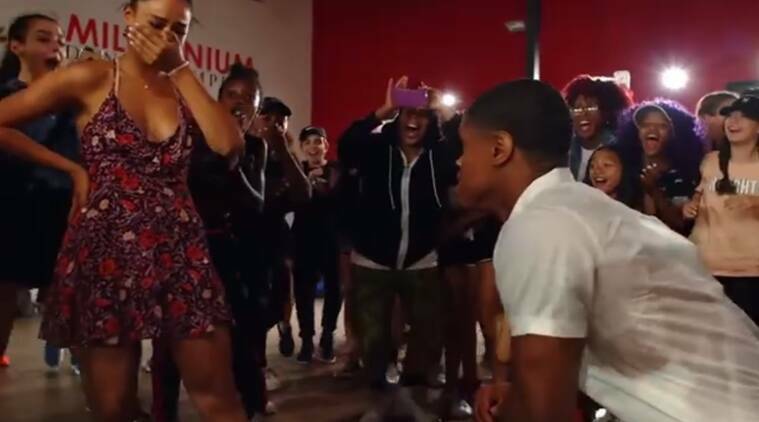 The couple were dancing to John legend's "You & I" when he suddenly got down on his knees and asked Ashley Liai, his girlfriend, the question. And she said a yes! Proposals can be romantic and beautiful, but they can also be tricky. Lovers come up with different and innovative ways to express their love and look for the perfect moment to pop the question. It may sound like a lot of work but when things fall into place, it is a sight to behold. Something similar happened when Los Angeles-based choreographer Phil Wright proposed to his girlfriend in the midst of dancing with her. The couple were dancing to John legend’s “You & I” when he suddenly got down on his knees and asked Ashley Liai, his girlfriend, the question. While everybody cheered on, Liai, visibly stunned said a yes and made the moment perfect! If you are still looking for some more inspiration, watch this video where a boy proposed to his girlfriend while adopting a puppy. Here is another video where a skateboarder proposed to his girlfriend in an endearing manner.